Bowling game has never been so much fun before! 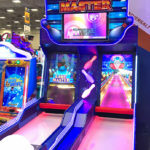 LED Lane Master Bowling Arcade Game is a arcade video bowling alley concept made by UNIS Games. The game brings a traditional bowling alley to any location. The game blends the physical fun of an alley bowler with versatility of a video game. 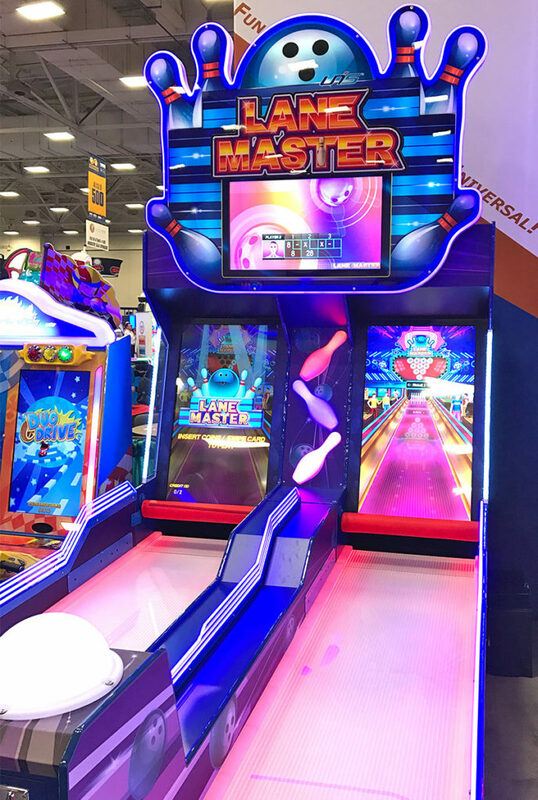 LED Lane Master Bowling Arcade Game for rent is designed and plays like a traditional alley bowler with a durable, smooth lane surface and the same bowling rules. Even the playfield length of the game feels like the classic bowling alley length. The players build points over a number of frames. Occasionally spiced up with special bonus games, that are not quite possible in an actual bowling alley game. The game play is simple, just roll the ball down the lane and watch your hits on the screen. 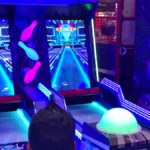 LED Lane Master Bowling Arcade Game for rent is very attractive colorful game with LED lights and a striking marquee. The game is designed to be focal point in any venue. 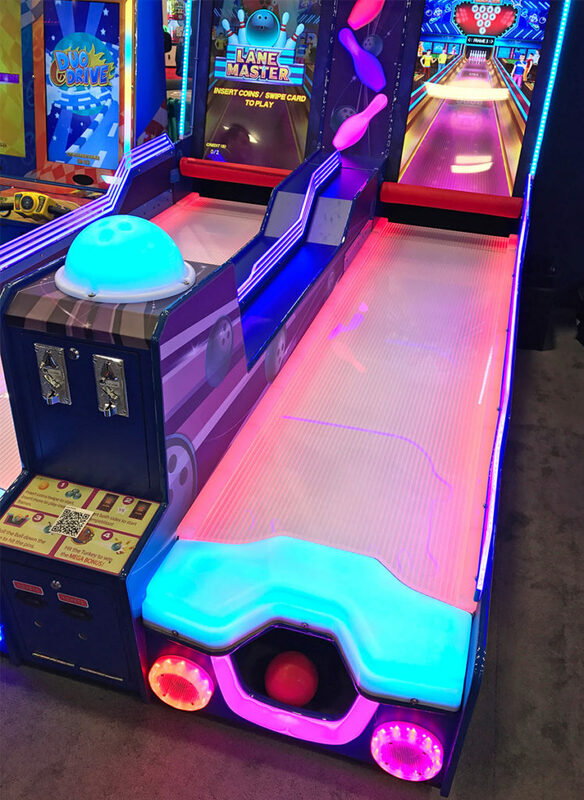 Rented LED Lane Master Bowling Arcade Game is a cool, sleek, LED lighted attraction game that will keep the guests entertained for hours. The game comes with 3 LED monitors. 1 for each lane and the 3rd monitor in the overhead marquee that shows the scores for both players. The marquee monitor is programmable and can be used for custom promotional videos or images. 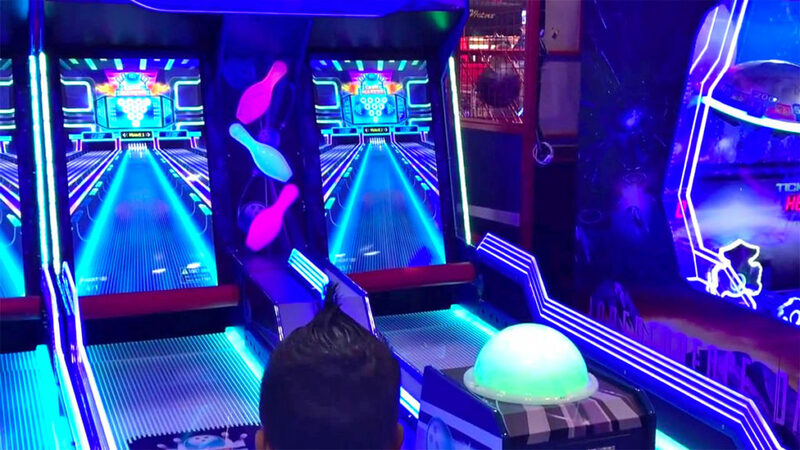 The rented game can be adjusted to be played as a traditional bowling game with all 10 frames or for shorted games and high turnover. The number of frames can be reduced and programed to any number. 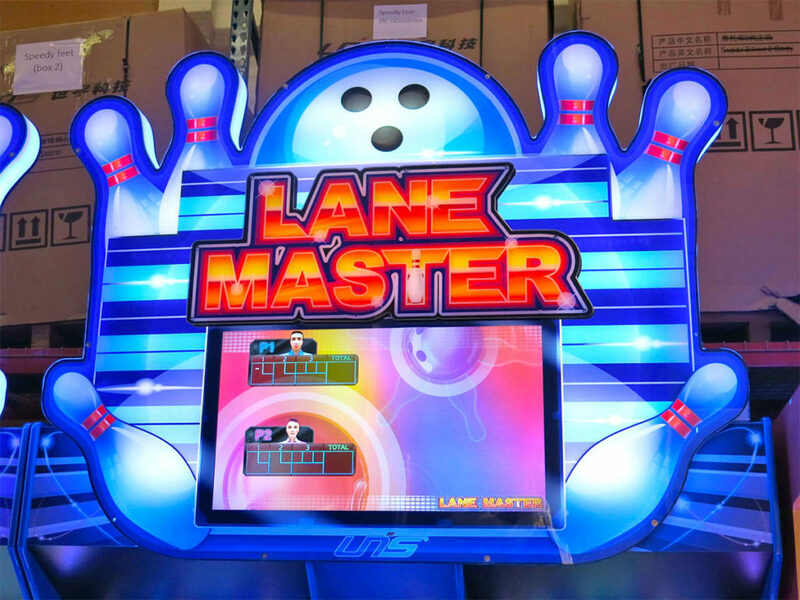 LED Lane Master Bowling Arcade Game rental comes as a pair, as pictured. It includes a marquee sign in the middle of the lanes all included in one price. 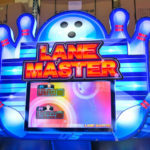 Rented LED Lane Master Bowling Arcade Game is delivered in three pieces. Two bowling lanes and one main cabinet. The bowling lanes are 89”L x 40”W x 30”H (this lane comes with the center divider attached) and 89”L x 27”W x 30”H. The main cabinet is 28”L x 66”W x 85”H. Freight elevator is required for upper floors. 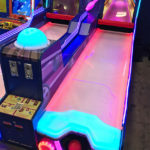 Video Amusement delivers all our competitive sports games and unique LED arcade games including our LED Lane Master Bowling Arcade Game Rental all over the San Francisco Bay Area, California, San Francisco, San Jose, Santa Clara, Santa Cruz, Palo Alto, Monterey, Salinas, Sacramento, Los Angeles, San Diego, Silicon Valley, East Bay, Central Coast and Bay Area cites as well Las Vegas Nevada and entire West Coast. 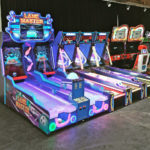 Call our office at let us help create your next big bowling arcade party in San Jose, Santa Clara, Palo Alto, Union City, Livermore, Oakland. 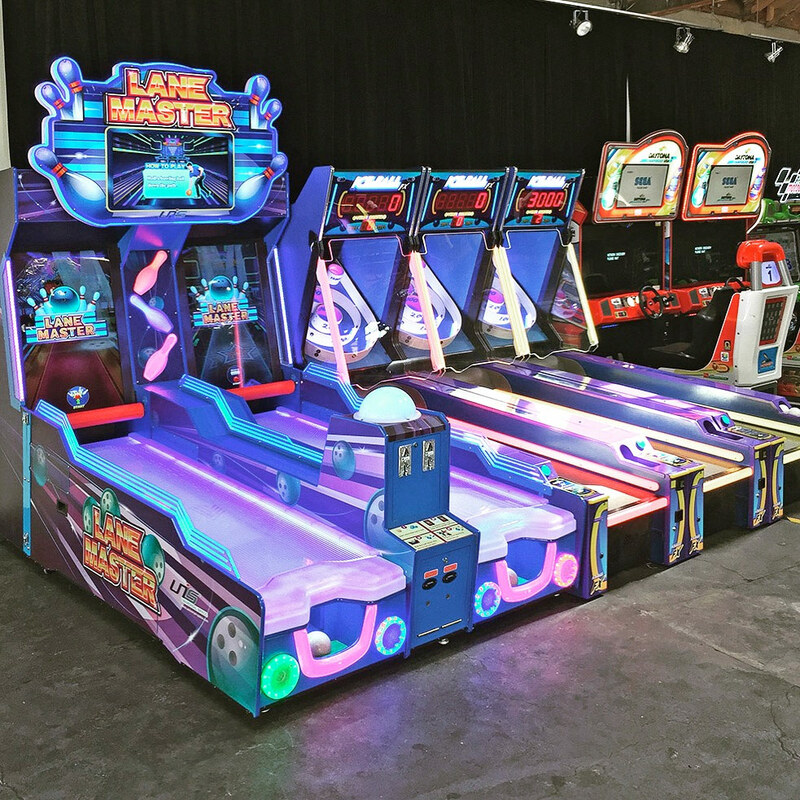 Let’s have fun and party with LED Lane Master Bowling Arcade Game Rental!